Skipper Phil enjoys travelling. Born in Germany and educated mostly in England, he has spent time living in and travelling around Mexico, Brazil, and most recently Belgium. 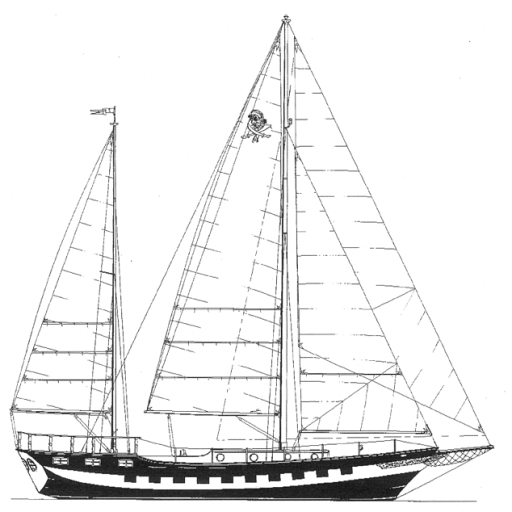 Having spent the summer of 2010 renovating the boat under the working title “monster” here, he sailed her to the UK, Brittany, down across Biscay, around Portugal, and through the Strait Gibraltar to Mediterranean Spain. The 2012 trip started in Almeria (Andalucia) and culminated in a tour of the Canary Islands via Morocco. In 2013, a transat to Brazil and a lengthy journey along the northern shore of the South American continent ended in Tobago. The 2014 journey saw Libertalia going up the windward islands and down the leeward islands to Guatemala in Central America. Libertalia “I” was sold in Guatemala. Following two years of inland waterways in Europe and some partying and meandering on Mobos around Berlin, we’ve acquired a fresh project for a tour around the Western Carib. 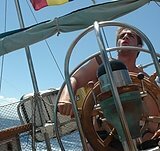 Previous sailing experience: Spent childhood summers sailing Dutch inland waterways and North Sea, Atlantic islands (Canaries), Baltic Sea. 10k+ nautical miles on Libertalia.